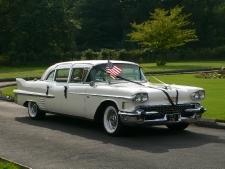 Cadillac great for promoting businesses and is a real crowd puller. 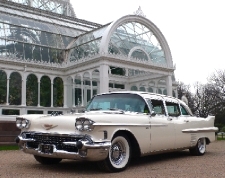 Once believed to be owned by Elvis in the 1950's this car was left for many years undiscovered and has undergone an extensive restoration. 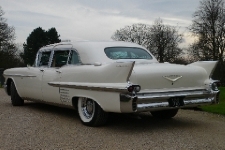 It is now in a stunning pearl cream with cream black and gold interior.